Beit T'shuvah isn't your father's or grandfather's synagogue. But it is a congregation that meets every Friday night and Shabbat morning to welcome Shabbat in its very own way. Based in Los Angeles and led by Rabbi Mark Borovitz, its mission is to guide individuals and families towards a path of living well, so that wrestling souls can recover from addiction and learn how to properly heal. 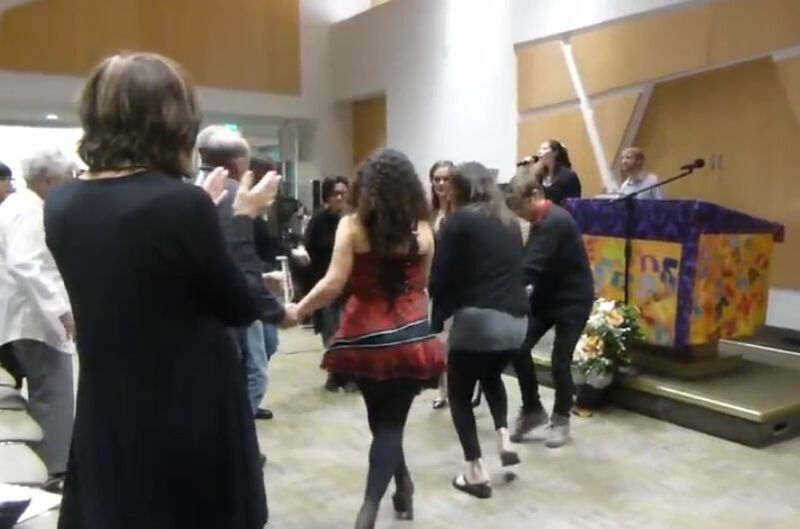 They also like to sing and dance, and they don't hold anything back when they get together on Friday evening and Shabbat morning for their unique services. Last month they welcomed Shabbat with the traditional Friday evening melodies including Lecha Dodi.